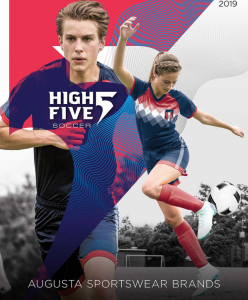 We’re pleased to announce the release of our 2019 High Five soccer catalog. You can view it online right now. You can also order a printed copy on our website, or by calling our Customer Care line at 800-237-6695. We’ve never been more excited about our lineup of soccer apparel as we are at this moment. 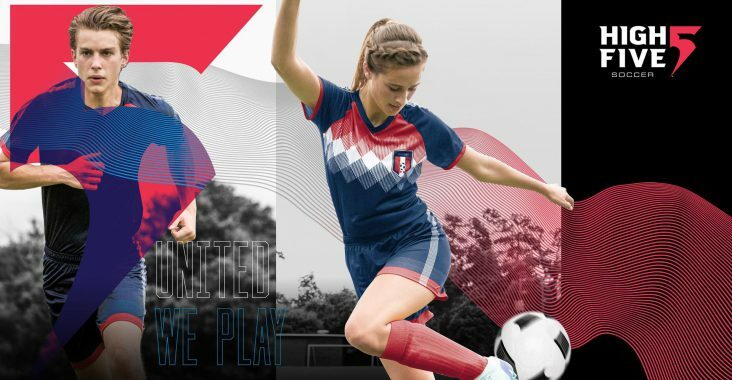 From uniforms to training wear to outerwear, we have the options, quality, customization capabilities and designs to provide you high-impact solutions on and off the pitch. In 2019 High Five is taking the lead in Sublimated uniforms, 1-2-3 easy and affordable kit building, flexible top-notch decoration, and impressive offerings for men, women and kids. Combine this with our world-class customer service and delivery speed and you have the perfect partner to help drive your soccer business in 2019 and beyond. Once you have a wholesale account with us, you’ll have a variety of ways to order. You can give us a call, work with an Augusta Sportswear Brands Sales Representative in your area, or place an order on our newly-revamped website. Click here to log in or register, and we’ll get started. Let’s make 2019 a winning year together.